There are fewer ingredients in this flavor, too, than one might expect. 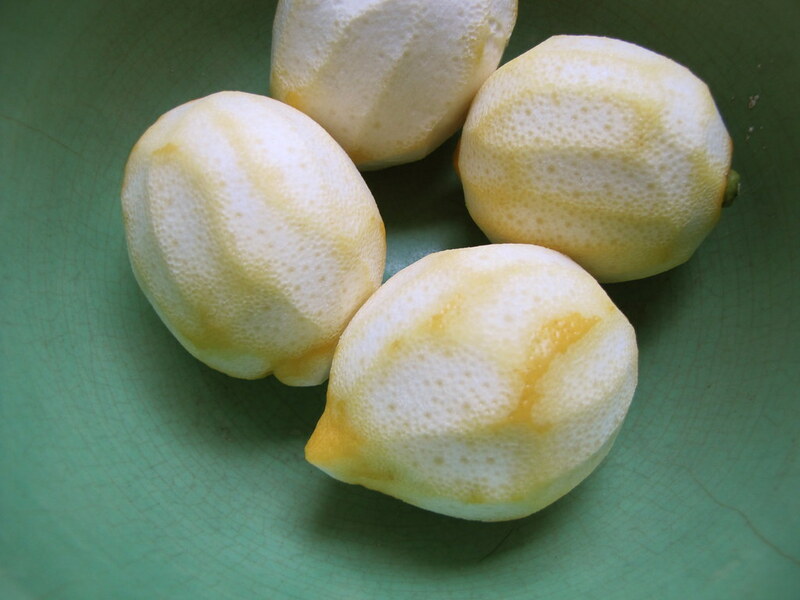 On a hunch, the peels of four lemons were shaved off the fruits and left to steep in the milk and cream mixture after bringing it to a “scald.” Rather than grating zest off into little specks, the big slabs of peel would be easier to strain the milk mixture from afterwards, for a smooth-textured cream. The resulting flavor was surprisingly strong, like a lemon drop but without any tang. 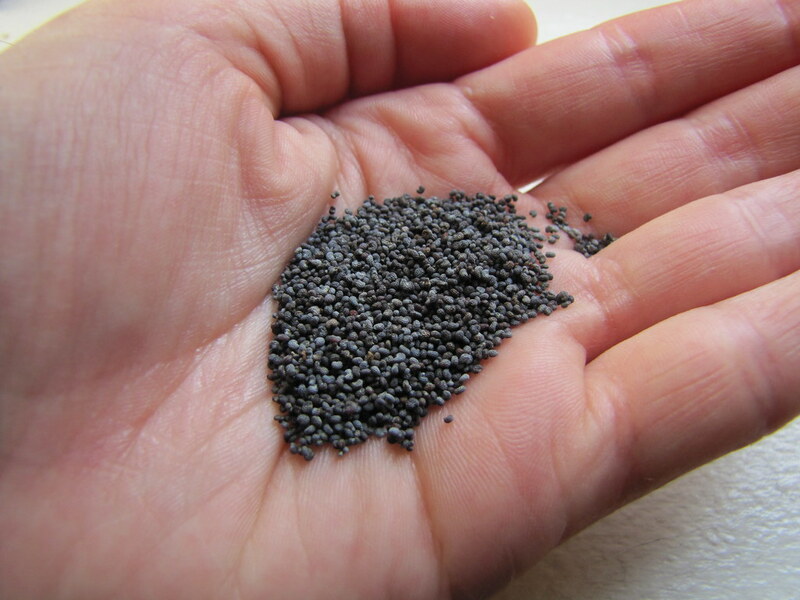 Poppy seeds have always confused me, a little. They don’t add any flavor, and they get stuck in between the teeth. 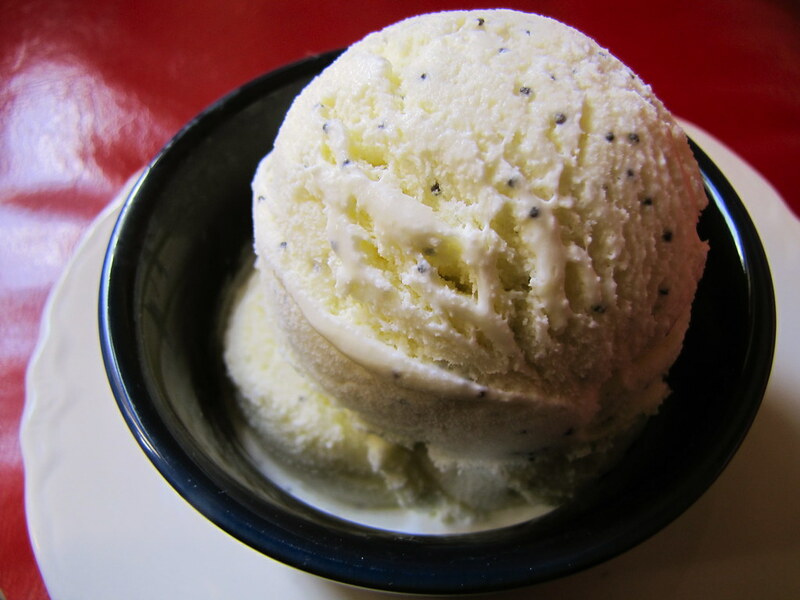 But, they add a delightful crunch to bagels and now, ice cream, as it were. Fair enough. This recipe follows that of most ice cream recipes on this site — two parts heavy cream, one part whole milk, and five egg yolks for the custard base. It’ll make a tidy one quart, which is convenient as that’s the maximum capacity of my ice cream maker (the Cuisinart ICE-50, a $50 investment FYI for all those without a machine). It’s far from the top of the line, as you have to freeze the interior bowl of the machine overnight to keep it cold enough throughout one quart’s churn, and if you try to churn another batch right afterward, don’t be surprised if it’s not cold enough to hold out. 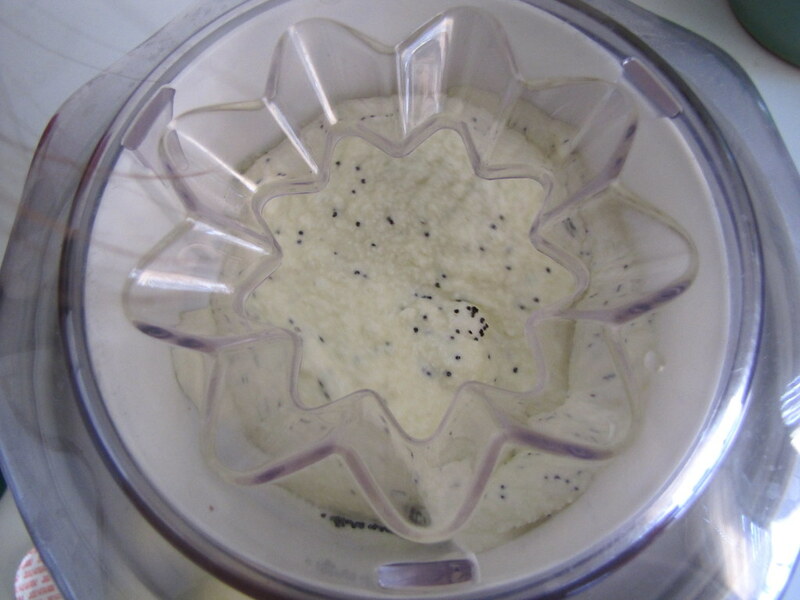 But it works well for the hobbyist, single-person household ice cream maker, like me. I thought a drop of lemon extract or something else might have needed to be employed at some point to enforce the ice cream’s flavor, but the zest from four lemons did its job well. Make sure not to add lemon juice to the hot milk mixture, whatever you do, as the acid will react with the dairy and curdle your cream. In a small bowl, beat the egg yolks with the sugar until fluffy and the lighter in color. Set aside. Combine the milk, cream and lemon zest in a medium saucepan and heat over medium-high until just about to boil, or “scald.” (Do not let boil.) Turn off heat, cover and let sit for about 15 minutes. Strain lemon zest. While beating the egg yolk mixture, pour in a small spoonful of the hot milk mixture and continue to beat. Repeat process with a larger spoonful, while beating, then repeat again, and again. (This will temper the eggs, so that they don’t cook lumpy.) Next, scoop all the egg yolk mixture into the hot milk mixture. Return heat to medium-low. Cook about 8-10 minutes longer, stirring frequently with a spatula to scrape all corners of the bottom of the pot. Do not let boil. The custard should be just thick enough to coat the back of a spoon, but have no lumps. Eight brownie points: It’s an eggy, rich ice cream, and there’s not much you can do about that — except to enjoy it in moderation. This decadent frozen dessert is a treat, but you can take comfort in the fact that it’s not chock full of preservatives or chemical additives when you make it yourself from six ingredients. Especially when those ingredients are thoughtfully sourced. Six brownie points: Anything with lemon in it is not going to be local or seasonal if you live in the Northeast. But using the lemon peel as well as its juice is a thoughtful way to make those extra miles it traveled more worth its while. The eggs and dairy in this recipe can be sourced from your favorite, responsible farms at any time of the year, however, no matter where you live. Lemon poppy seed muffins are actually my favorite–cannot wait to give this ice cream version a try! What a great idea to introduce breakfast flavors with ice cream. Sounds like a really refreshing combo! This ice cream looks awesome, I cannot wait to give it a shot. My mom just an ice cream maker so I think this will be a great one to try with her. Your whole site has a lot of great stuff. 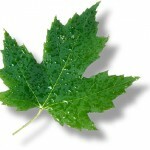 Good inspiration for my own: economicalchef.com.